Beyond media specificity, what happens after videotape has been absorbed into a new medium—and what are the implications of these continuing shifts in format for how we understand access and preservation? This panel considers forms of preservation that have emerged across analog, digital, and networked platforms in conjunction with new forms of circulation and distribution. Finn Brunton (finnb.net) is an Assistant Professor in the Department of Media, Culture and Communication in NYU’s Steinhardt School. He works on the adoption and adaptation of media, computing, and information systems (particularly reinvention, subversion, misuse and abuse), with a particular interest in privacy, hacking, cryptography, attention and focus, and publishing systems. He is the author of Spam: A Shadow History of the Internet (MIT, 2013). Joanna Phillips is the Conservator of Time-based Media at the Guggenheim and focuses on the conservation of time-based media artworks. At the Guggenheim, Phillips has launched the first media art conservation lab in a US museum, and is developing and implementing new strategies for the preservation, reinstallation, and documentation of media artworks. One of her latest publications is the Compendium of Image Errors in Analogue Video, a first-of-its-kind reference work for conservators and curators who are in charge of video art collections. As a committee member of the Electronic Media Group of the American Institute for Conservation, Phillips is a founding co-organizer and co-programmer of EMG’s educational workshop series TechFocus. Prior to her Guggenheim appointment, Phillips specialized in the conservation of contemporary art at the Swiss Institute for Art Research in Zurich, and explored the challenges of media art conservation as a conservation researcher in the Swiss project AktiveArchive. Phillips holds an MA in painting conservation from the Hochschule für bildende Künste, Dresden, Germany. Maurice Schechter is Chief Engineer of DuArt Restoration in New York City. 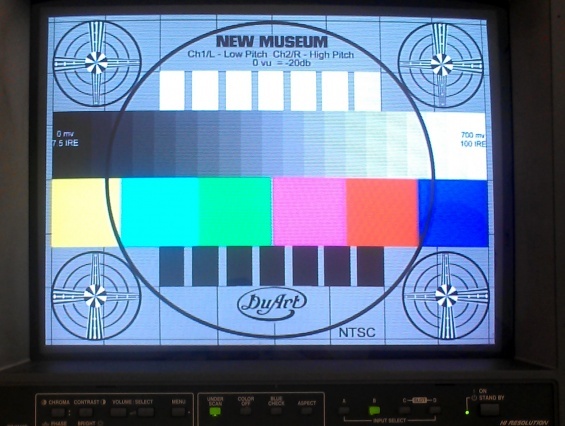 Schechter brings more than forty years of experience working with vintage analog video equipment to DuArt, where he oversees video preservation projects of all types for libraries, museums, and archives. An avid educator of his craft, he presents regularly at TechFocus, a premiere event sponsored by the Electronic Media Group of the American Institute of Conservation. Schechter’s collaborations include MoMA and the Guggenheim Museum. Walter Forsberg works in media preservation and is a Contributing Editor for INCITE: Journal of Experimental Media. His films and videos have screened at the Toronto, Rotterdam, and Sundance film festivals, POP Montreal, and the Academy of Motion Picture Arts and Sciences. Prior to his tenure as Audio-Visual Conservator of “XFR STN” at the New Museum, Forsberg held a postgraduate research fellowship in moving image preservation at NYU from 2010–13.